SHAWN CHRISTENSEN graduated from Pratt Institute with a BFA in Illustration and Graphic Design. 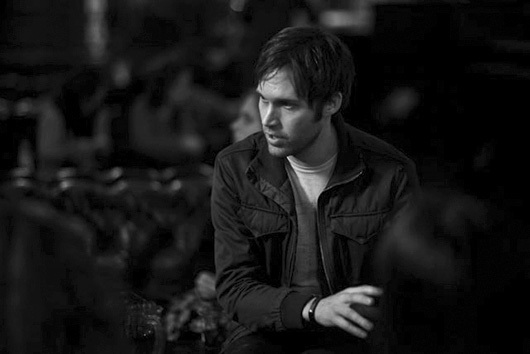 After graduating, he formed indie rock band Stellastarr* and, while on tour, wrote and sold many screenplays, including Sidney Hall (Fox Searchlight) and Karma Coalition (Warner Bros.). Stellastarr* released two albums on RCA Records and a third album, independently. In 2011, Christensen’s short film, Brink, was an Official Selection of the Tribeca Film Festival and won “Best Festival Film of the Year” by ShortOfTheWeek.com. In 2012, his short film, Curfew, won over 40 awards in Film Festivals before winning the Oscar for Best Live Action Short Film at the 85th Academy Awards. He is currently in pre-production on a feature film based on Curfew, and is attached to direct Sidney Hall.